Four cities among seven finalists chosen to host NCAA’s marquee championship. The NCAA Division I Men’s Basketball Committee selected Houston, Phoenix, San Antonio and Indianapolis to host the 2023-2026 Final Fours. The announcement wrapped up a year-long process that included site visits to each of seven finalist cities and in-person presentations during the committee’s annual summer meeting, which took place last week in Boston. The other finalists were Detroit, Los Angeles and North Texas. The Final Four will return to Houston for a fourth time in 2023. The city hosted in 1971, when UCLA won its fifth of what would be seven consecutive national championships. 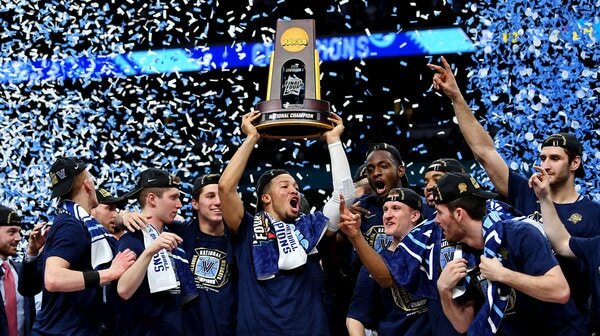 The event returned in 2011, when UConn defeated Butler to win the title, and again in 2016, when Villanova downed North Carolina in one of the most thrilling games in the tournament’s history. After the Tar Heels’ Marcus Paige drained a game-tying three-pointer with 4.7 seconds remaining, Kris Jenkins answered with a buzzer-beating 3-pointer to lift the Wildcats to a 77-74 win. Houston, which has hosted various rounds of March Madness 13 times, will also host the 2020 South Regional. The 2023 #FinalFour will be played in Houston! Phoenix will be the site of the 2024 event, marking the second Final Four in that city’s history. This will be the seventh time the Phoenix/Glendale area has hosted the tournament, with the last time being the 2017 Final Four, when North Carolina edged Gonzaga for the championship after losing in the title game in heartbreaking fashion the prior season. This will be just the second Final Four to take place in the western part of the country since 1995. San Antonio has been a common site for the Final Four in recent years, having previously hosted the event in 1998, 2004, 2008 and again last spring. The Alamo city has hosted various rounds of the tournament 10 times and will also host the 2022 South Regional. San Antonio will host the Final Four for a fifth time in 2025, joining Kansas City, Indianapolis, New York, Louisville, New Orleans and Seattle as the only cities to do so. Four powerhouse programs — Kentucky, UConn, Kansas and Villanova — have won national championships in San Antonio. The 2025 #FinalFour will be played in San Antonio! Indianapolis, which will host its eighth Final Four in 2021, was selected to stage a ninth in 2026. Only Kansas City, which was the site of 10 Final Fours from 1940-88, has been the site of more. Indianapolis first hosted the Final Four in 1980. The Circle City hosted for a second time in 1991 and became a regular in the rotation from there, serving as the host again in 1997, 2000, 2006, 2010 and 2015. Duke has won three (1991, 2010, 2015) of the seven national championships crowned in Indianapolis, while Louisville, Arizona, Michigan State and Florida captured the others. The home of the NCAA’s headquarters since 1999, Indianapolis has hosted March Madness 23 times dating back to 1940. The city will also host the 2020 Midwest Regional. Who is hosting the #FinalFour in 2023, 2024, 2025 and 2026? The 2019 Final Four will take place in Minneapolis, while Atlanta will host the 2020 event, Indianapolis will be the site for the 2021 Final Four and New Orleans will host in 2022.